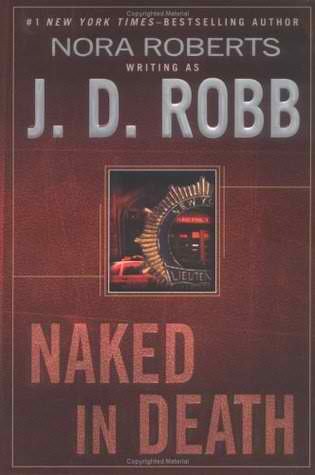 Now, if I could pick a whole series it would be J.D Robb's In Death series. Nearly 35 books and they've almost all been fantastic. I don't think I've read another series that's this long and so consistently blows me away. I love the futuristic world she created, the mysteries, all of the different characters and that the main couple is married for almost the entire series. Roarke is one of the best heroes. Irish, passionate, determined, a bit of a mother hen and just swoon worthy. And Eve is a seriously badass heroine (she's a cop). Brilliant, tough, sarcastic and so ungirly. Would love to be able to unread them all and really savor each of them instead of rushing through them. So what about yall? Would you unread an old favorite or one you wish you'd never read at all? Old follower through GFC. New through Linky. I haven't read that book or the series you mentioned but isn't a terrible feeling when a series you loved is over? Really stinks. I loved Lover Awakened!! Great choice. And holy crap 35 books in a series? that is nuts! I haven't heard of either of these series. However you've given me a new book(s) to look into. Thanks! Haven't heard of these. Happy FF. WHAT?!? There's 35 books in that JD Robb series. My god does Nora Roberts ever sleep? I agree with Lover Awakened. I was already in love with the BDB by the time I got to his book but then Zsadist just BLEW ME AWAY. Love him! It's insane how many books that woman has written! Totally works for me since I adore them :) Still need to check out her NR books but I hear those are great too. Sigh. Zsadist. It really just doesn't get better than him. So won me over for that series. Wow, 35 books and all great!! I'll have the check them out. Have you read the Outlander series by Diana Gabaldon? Another great series. :) New follower via Linky. I love Z's book, it tugged on my heart so much I almost had to take a break from the series to take it all in. 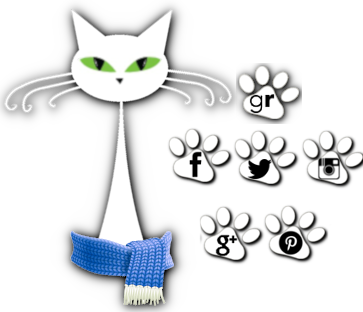 New GFC, Linky, and Networkedblogs follower! :) The Blackdagger Brotherhood series is on my TBR list, so I'm glad you liked it. Check out my blog when you have time! I'm always looking for a new GFC follower! One of these days I will get around to reading the BDB series.